This listing includes a design to make your very own soccer planner/book band! 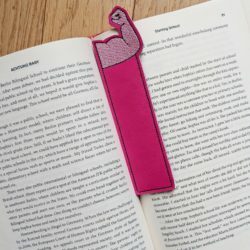 Any notebook or planner will bring a smile to your face with this adorable book band. An illustrated tutorial for creating your own book band is included in your download. 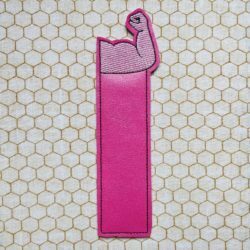 The finished embroidered cup is approximately 3″ tall, making it a perfect project for smaller-hoop users and beginners.